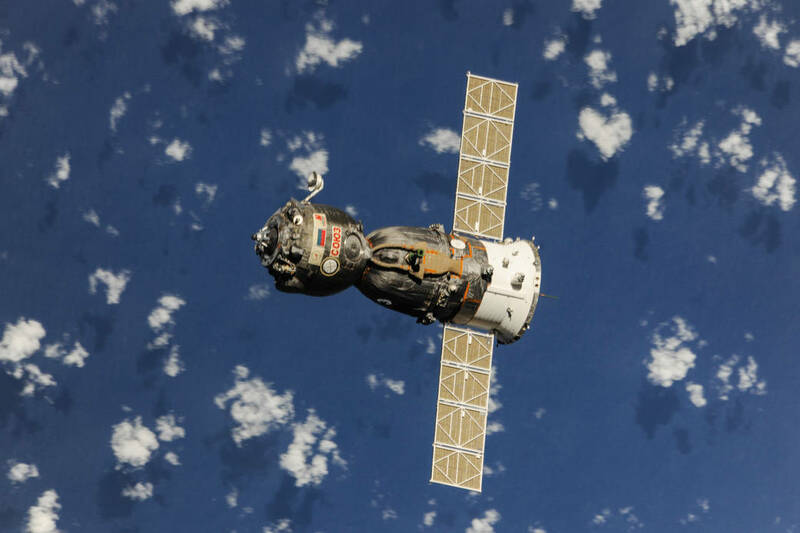 Russia plans to speed up the rendezvous of the country’s Soyuz and Progress spacecraft to bring crews and cargo to the International Space Station faster than with the current six-hour flight profile that has been in use for the last five years. The upcoming Progress MS-07 cargo resupply mission will debut a new two-orbit rendezvous profile, taking only three and a half hours from liftoff to docking with crewed missions inaugurating the new rendezvous technique once proven by Progress. For decades, crews on Russia’s Soyuz and the U.S. Space Shuttle typically flew for two days before reaching their orbital destination. The introduction of the four-orbit, six-hour rendezvous in 2012 brought the major benefit of allowing crews to trade the cramped quarters of their Soyuz spacecraft with the comforts of the International Space Station in a matter of hours instead of spending two nights aboard the Soyuz spacecraft as it linked up with ISS over the course of 34 orbits. However, fast-track rendezvous maneuvers are nothing new from a historical point of view as many of the early missions in programs Gemini and Soyuz utilized quick rendezvous schemes through a direct ascent profile. Fast maneuvers in those days were accomplished by launching a target vehicle into a specially designed orbit that allowed a chaser to be deployed into the orbital plane of the target at a small angular distance between the two. 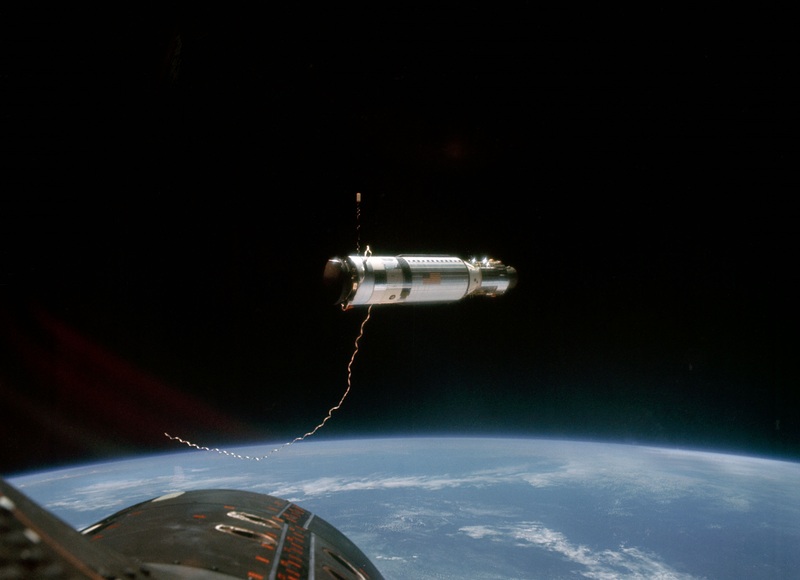 The early rendezvous and docking demonstrations in the U.S. Space Program were during Project Gemini with the first rendezvous occurring between the Gemini 7 and Gemini 6A spacecraft that launched eleven days into the long-duration mission of Gemini 7, meeting up six hours after the chasing spacecraft had lifted off from Florida for over five hours of formation flying. Later docking demonstration missions between crewed Gemini spacecraft and unmanned Agena Target Vehicles launched the Agena when the crew of Gemini was already sitting aboard their spacecraft, ready to be lifted into orbit after the Agena completed one revolution of Earth. To date, Gemini 11 holds the record for the fastest crewed rendezvous, docking with its Agena Target Vehicle 94 minutes after liftoff. 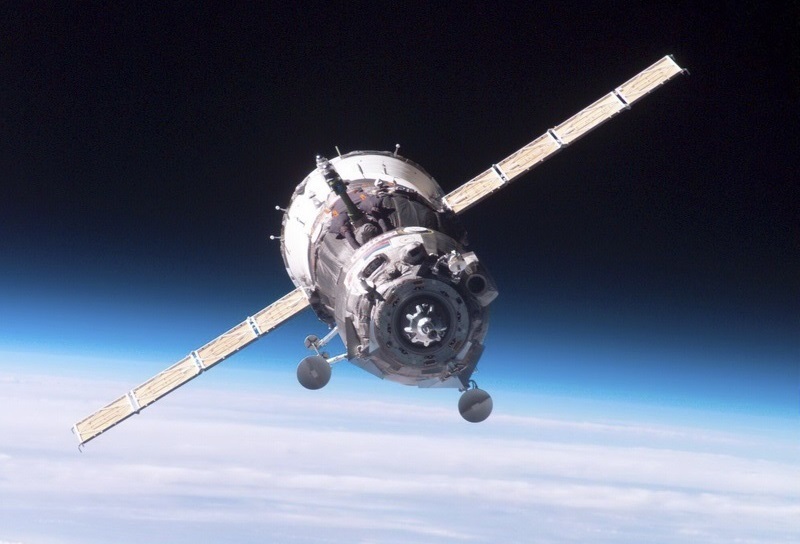 The record for the fastest docking overall belongs to the Russians: in 1968, Kosmos-213 – an uncrewed version of the Soyuz spacecraft – linked up with Kosmos-212, another uncrewed Soyuz, just 47 minutes after lifting off, 38 minutes after achieving orbit. 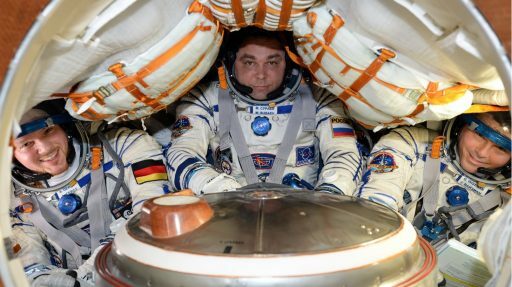 Soyuz 3, piloted by Georgy Beregovoy managed to reach its target, the Soyuz 2 launched the day before, less than one hour after taking off but had to abort the docking at 200 meters distance. After the space race reached its culmination and man walked on the Moon came the era of orbiting space stations. Given the requirements of long-term operation of orbiting stations, direct ascent was no longer a possibility as the orbit of the stations could not be tuned in a precise-enough manner to set up the strict phasing requirements for such a maneuver. Instead, the U.S. developed an eight-hour rendezvous used by the crewed Skylab missions while the Russians ferried its Soyuz crews to the Salyut space stations on day-long flights before extending the rendezvous to 34 orbits, taking just over two days when Mir began operations in 1986 as there was a desire to reduce phasing maneuvers completed by the station to facilitate one-day rendezvous missions. The two-day rendezvous was retained for Soyuz and Progress missions to the International Space Station and the U.S. Space Shuttles also made use of a two-day trajectory profile when linking up with Mir or ISS. To get a spacecraft to its orbital destination, attention has to be paid to two essential parameters: the planar separation between the chaser’s injection orbit and its target, and the phase angle between the two spacecraft as they begin their rendezvous. 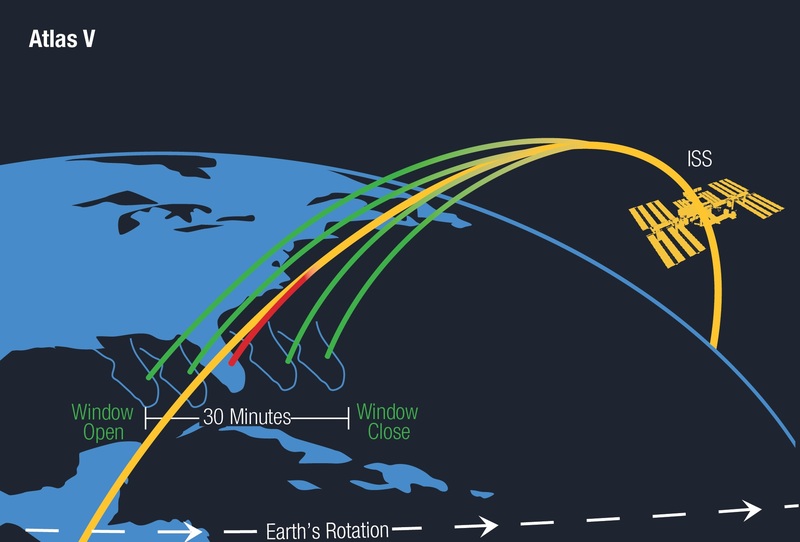 Typically, for a mission aiming for a specific destination, launch must occur in the brief moment when Earth’s rotation carries the launch site into the target spacecraft’s orbital plane. If launch occurs at any other time, the resulting orbit will cross the target orbit plane at too steep an angle for the chaser to correct with its limited propellant supply. Planar launch windows oftentimes are instantaneous, though some vehicles like the Space Shuttle and Atlas V as a current example, were able to stretch the planar windows through their ability to yaw-steer during ascent, essentially bending their flight path to steer from an out-of-plane liftoff into the target plane (of course coming at the cost of extra propellants). 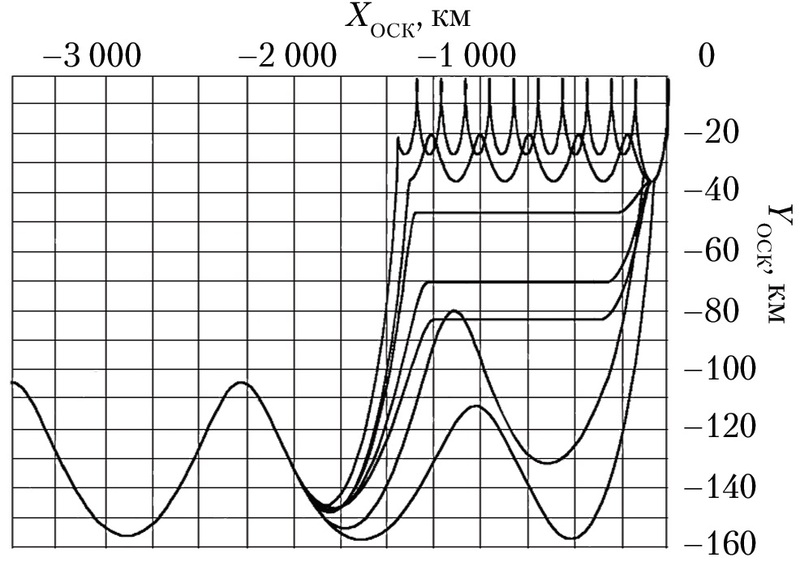 The second constraint upon rendezvous maneuvers is the phase angle between the chaser and its target at the moment of orbital insertion. The phase angle refers to the angular separation of the spacecraft and target along the same orbital track and can be taken as a measure of the distance the chaser has to ‘catch up’ in order to reach the target. Launching into a lower orbit than the target, the chaser has a shorter orbital period and thus catches up over time. 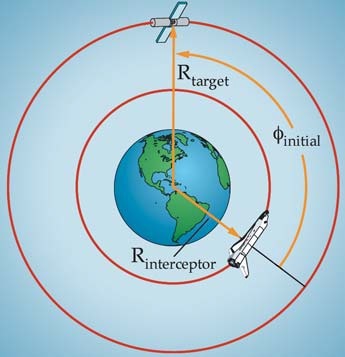 At the precise moment the orbital plane of the target is carried through the launch site, the target could be anywhere along its orbit around the Earth if no advance preparations are made by the target vehicle to be in a specific position in its orbit at the planar launch time. A two-day approach allows for a number of options in terms of relative maneuvering to allow the chaser to catch up with its target. In fact, Soyuz had a broad phasing range of 150 degrees when taking its two-day trip to the Space Station. 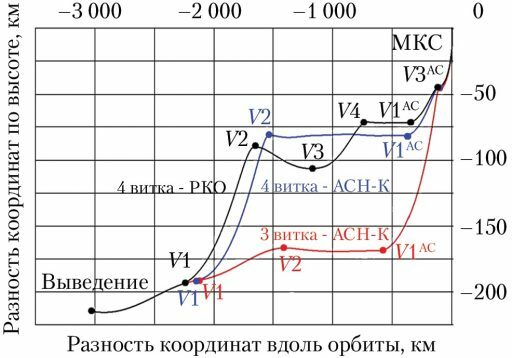 But when time is of the essence in a fast-track rendezvous scheme, the phase angle could not exceed 35 degrees as Soyuz only has a limited ability to catch up – requiring the Station to be leading the spacecraft at orbital insertion by no more than 3,500 Kilometers. Waiting for the right geometry to naturally occur as the target’s orbit progresses could mean weeks would pass in between favorable launch slots. Therefore, the phase angle is carefully controlled via small maneuvers by the target vehicle that slightly alter its orbit in order to place it in the right spot at the right time. These maneuvers, if performed close to the chaser’s launch date, will be quite significant as large changes could be needed to set up the proper phase, but if performed over the course of several weeks with proper planning of the orbital progression, these phasing maneuvers can be a small as one meter per second and double as orbital maintenance maneuvers to counter drag in the upper reaches of the atmosphere. Development of the four-orbit rendezvous technique was initiated by Soyuz manufacturer RSC Energia and the trajectory department of the Russian Mission Control Center as an object of study before 2010. Getting crews to their destination faster was viewed to have great benefits – first and foremost reducing the time spent in the cramped Soyuz but also looking at human factors as microgravity-induced discomfort for most crew members only sets in after the first six or seven orbits while the first hours of the flight are usually dominated by an exhilarated feeling of having finally arrived in space after years of training. Completing the rendezvous within this window of peak alertness and dealing with initial side effects of space travel like nausea and fatigue in the comforts of ISS was deemed beneficial from a crew standpoint. A positive effect on the technology side was that the fast rendezvous scheme came with a reduction of propellant consumption on the Progress/Soyuz spacecraft. 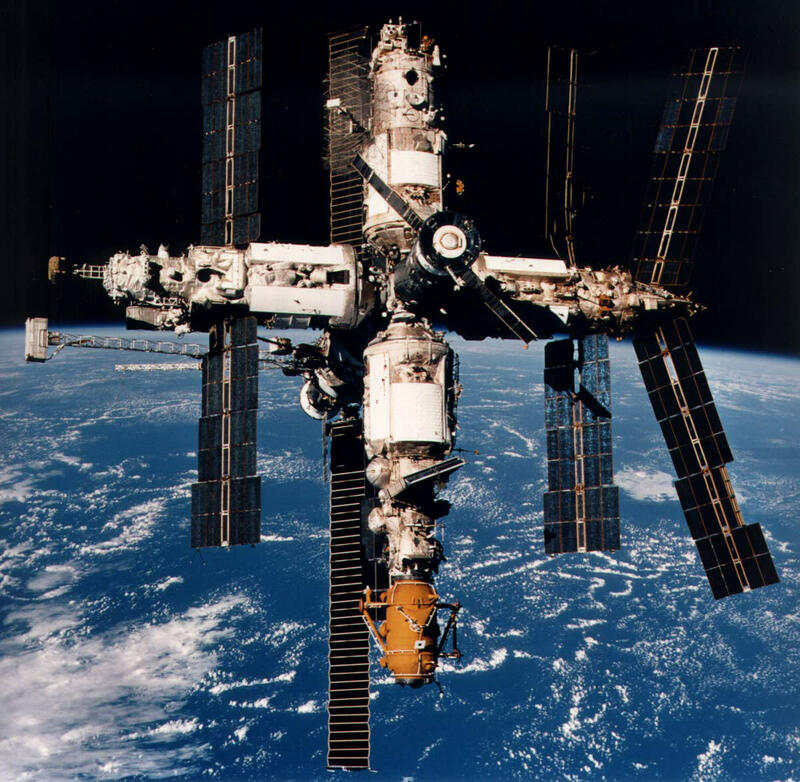 The fuel expenditure to reach the Space Station’s orbit remains the same between the two-day and six-hour rendezvous but the fuel spent on controlling the spacecraft’s orientation is reduced by some 20 Kilograms by eliminating the need for two days of attitude control. To achieve a four-orbit link-up, designers switched from ‘measure first, fire second’ to ‘fire first, measure second’ – i.e. instead of spending an entire orbit in the injection orbit for measurements of the initial orbit parameters before making orbit-raising maneuvers, the new rendezvous calls for initial maneuvers to be completed on the first lap around Earth based on the planned orbital injection parameters. Measurements of the actual parameters taken after injection are extrapolated with the pre-planned burns and correction maneuvers are designed to take place on the second orbit of the mission to position the spacecraft for the initiation of the Automated Rendezvous Sequence on Orbit #3. The actual final rendezvous phase in which Soyuz/Progress links up from a distance of 200 Kilometers through the use of its radio-based navigation system remained unchanged at ~100 minutes from the 34-orbit profile as flight designers did not want to touch a well-proven method. 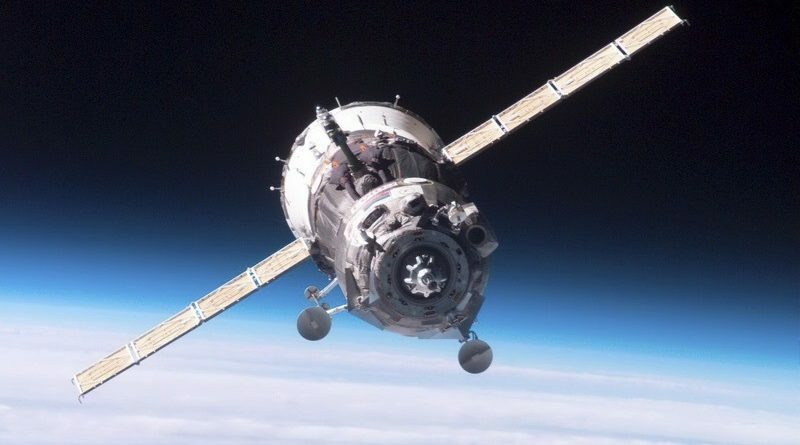 The Russian space program has the luxury of operating cargo and crew spacecraft that are of very similar design, thus allowing the cargo vehicle to act as a pathfinder whenever new technologies or techniques are introduced in order to reduce risk for the crewed Soyuz. The nuts and bolts of the four-orbit rendezvous were proven through a series of demonstrations involving Progress, the first occurring on the Progress M-16M mission in August 2012. Two subsequent Progress missions in 2012 and 13 also succeeded in reaching ISS after four orbits, clearing the new rendezvous to be used on crewed flights. The Soyuz TMA-08M crew of Pavel Vinogradov, Aleksandr Misurkin and Chris Cassidy became the first to make a same-day launch-and-docking in March 2013. The next three Soyuz missions also went without a hitch and Soyuz TMA-12M was well on its way to ISS when it ran into trouble on its first Orbit #2 correction maneuver due to a flight software issue that placed the craft into an incorrect orientation. The mission demonstrated the safe abort from an express rendezvous to a two-day profile and made a safe docking to ISS after taking the scenic route. Since its inauguration, the fast rendezvous profile has been the preferred method for Progress and Soyuz to fly to the International Space Station, though a number of exceptions have been made when orbital geometry was unfavorable due to schedule changes or when the MS-series of Progress & Soyuz was inaugurated with a series of two-day flights. At the time the four-orbit profile was put in practice, work was already underway to further speed up future trips to ISS. A three-orbit profile was deemed possible without major flight design changes after inauguration of the Soyuz 2-1A rocket that provides a much higher orbit injection accuracy than its predecessors and would allow the two correction maneuvers on Orbit #2 to be eliminated while the Automated Rendezvous Phase would still remain untouched. The deletion of the Orbit #2 maneuvers was expected to slightly tighten the already restrictive phase angle window from and upper limit of 30-35° to 25-28°. 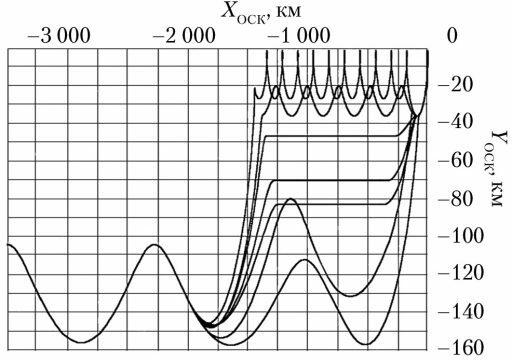 To realize a two-orbit launch-to-docking profile, one would either have to deal with a very narrow phase angle range or take a different approach to find a compromise between planar and phase angle constraints. The method chosen by the Russian flight dynamics team is referred to as a Quasi-Coplanar Insertion and will broaden the planar launch window and so allow the chaser to be launched into an orbit with optimized phase angle while keeping the planar separation within a manageable range. The second important trick that comes into play is a change in orbital inclination which can be varied in order to reduce the angle at which the orbit of the Space Station and the chaser intersect and so reduce the change in velocity required by the chaser to accomplish the plane change into the ISS orbit. Without this exploitation of orbital mechanics, the two-orbit profile was found to come with excessive propellant consumption and would not have been practical. If accepting a 0.65° angular separation in RAAN (Right Ascension of Ascending Node), the planar launch window will broaden by ±2.5 minutes, allowing some leeway in the setup of the phase angle by the Space Station. But as consequence, the angle at which the ISS orbit and that of Progress/Soyuz intersect will be 0.51° and it would cost the spacecraft over 66m/s of delta-v to accomplish the plane change. Varying the orbital inclination by ±0.18° will allow Soyuz to accomplish the plane change at a much more manageable delta-v of 25m/s. 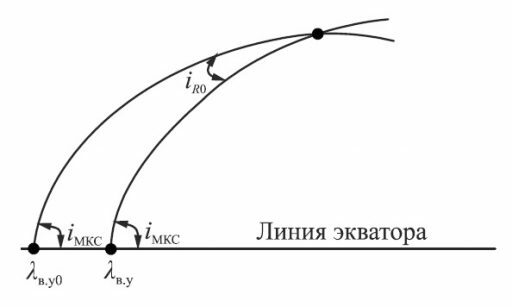 Widening the planar window to ±5 minutes (corresponding to phase angles of 20°) will require an inclination change of ±0.35° and a delta-v of 50m/s for the plane change, still manageable for the Soyuz/Progress vehicle within its typical propellant margin. The two-orbit profile will also make use of the new capabilities of the Soyuz/Progress MS series, specifically its ability of orbit determination through satellite navigation and/or post-insertion ranging from the ground in order to target the orbit-raising maneuvers per the actual injection orbit and directly maneuver to the point where the Automated Rendezvous Sequence can be initiated. Additionally, the upgraded control system and KURS navigation system are capable of dealing with greater state vector deviations at the start of the automated rendezvous, allowing some margin in injection/maneuver accuracy. Approval for the upcoming Progress MS-07 mission to use this new flight profile only came this week with liftoff on a Soyuz 2-1A rocket targeted for 9:32:06 UTC on October 12, 2017 from Site 31/6 at the Baikonur Cosmodrome. If all goes well, Progress MS-07 should be inbound for an automated docking to the Pirs module of the Space Station three hours and 24 minutes after liftoff. Should anything off-nominal occur during the express flight, the craft would revert to the longer two-day approach. 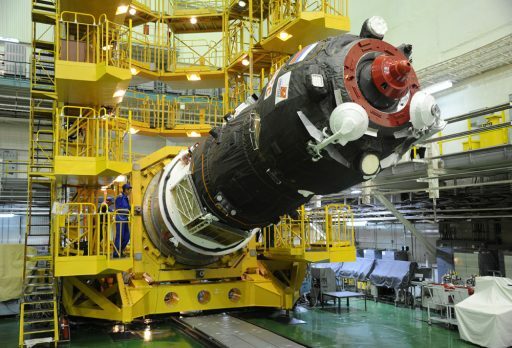 When the two-orbit rendezvous profile will be introduced for crewed missions will largely depend on the success of Progress MS-07.